UW Department of Family Medicine and Community Health (DFMCH) Assistant Professor Aleksandra Zgierska, MD, PhD, was appointed to the Wisconsin Governor’s Commission on Substance Abuse Treatment Delivery on February 15, 2018. The Commission was created by Governor Scott Walker through Executive Order #274 on January 19, 2018. It’s charged with recommending to the Governor approaches for the State’s response to the opioid epidemic; specifically, whether the State should pursue a hub-and-spoke delivery model for opioid and other addiction care and, if so, what would the implementation of such a model require. The hub-and-spoke model integrates “hubs,” or specialized treatment programs providing care for patients with addiction, and support for “spokes,” which comprise smaller or non-specialty (e.g., primary care) practices. The hub-and-spoke approach can facilitate efficient evidence-based care for addiction, including medication-assisted treatment, and promotes expansion of professional workforce engaged in addiction care by supporting community-based clinicians. The model originated in Vermont and is currently used in several other states, showing promise for improving service delivery to treat addiction. Dr. Zgierska will represent the Wisconsin Academy of Family Physicians and bring to the Commission expertise in care access and delivery from the perspective of a family physician and addiction medicine expert. She is also the immediate past-president and current officer of the Wisconsin Society of Addiction Medicine, and a board member of the American Society of Addiction Medicine. 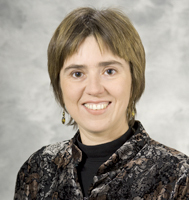 Dr. Zgierska’s appointment complements efforts by other UW and DFMCH faculty and dovetails with a new UW Health task force that will evaluate evidence-based practices and implement strategies to prevent opioid-related overdose deaths in Dane County. UW Health Chief Population Health Officer Jonathan Jaffery, MD, leads this task force; Drs. Zgierska, Randall Brown and Ildi Martonffy from the DFMCH, along with stakeholders from across the organization, are members. Together, this work represents critical steps in addressing the worsening state and national opioid epidemic. A recent Centers for Disease Control and Prevention (CDC) report showed that from July 2016 through September 2017, emergency department (ED) visits for opioid overdoses rose 30 percent in all parts of the U.S.—and 70 percent in the Midwest. Of the 10 states that saw significant increases in opioid overdose ED visits, Wisconsin had the largest increase, at 109 percent, highlighting the need for concerted, interdisciplinary efforts to reduce the impact of the opioid crisis. We are proud that UW Health and our faculty are working to become a part of the solution!